Want to take your iPhone security to extremes? Aatma Studios, who was also behind the iPad 3 edge-to-edge screen, NFC, and 3D hologram concept video, has released its latest look into what it thinks ‘could be’ in the Apple realm. In this concept, if the user fails to enter the correct password three times, Siri puts the device into a self-destruct mode. Under the premise of, “If you can’t have the iPhone, no one can,“ Siri first transfers all of your iPhone data to iTunes, wipes the phone, and then cracks the screen. The feature would be user activated so you’re not accidently poppin’ iPhones after a night of poppin’ bottles. It is an interesting take on security, but before you proclaim to the world why this is the worst idea ever, just remember it’s only a concept video that will probably never actually see the light of day. I can see why they put the terminator up there. 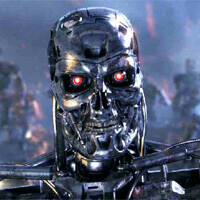 Siri + a few years of evolution = Skynet. Think about it. what a great prank to pull on a douchey person's iphone. :) make it real!! looks like apple is headed for self destruction. lol yea..right. thats only been said every year and its yet to come true. Now all we need is a virus to activate the feature on all iPhones at once!!! lol!!! Actually, it looks like a GREAT way to cut down on ifones. Lets give it to them! i want it. i have jerk friends who would love to hack into my phone at any given moment.